Shanaghy is an association that was officially formed in 1995 in the Norman town of Saint-Lô, but its roots go back to the immediate aftermath of the Second World War. 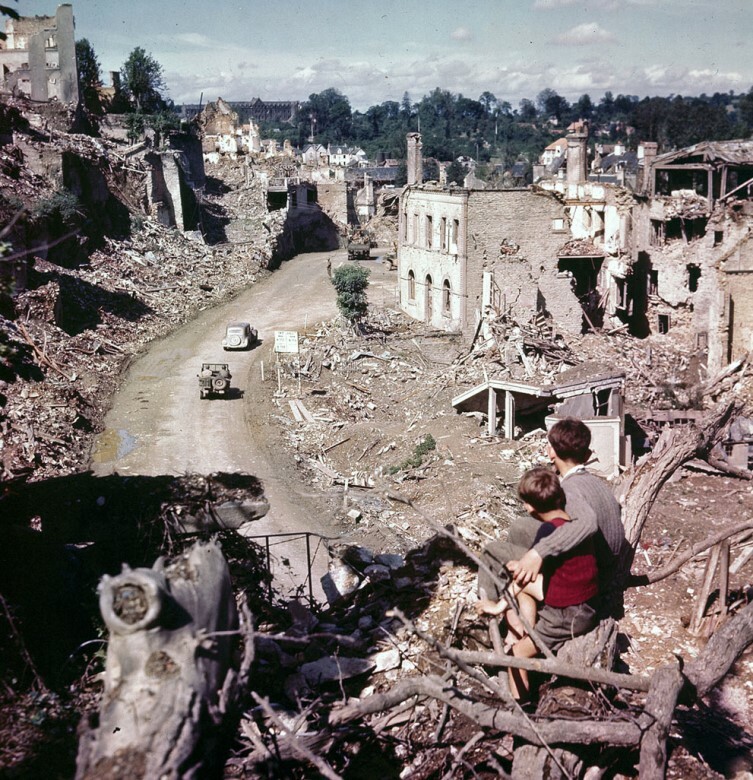 The vicious town-to-town fighting that ensued after the Anglo-American landings of June 1944 resulted in many villages and communes in Normandy being badly damaged. St-Lô suffered more than most and it was merely a pile of ruins after the war; its cathedral and mediaeval centre reduced to rubble. In the difficult rebuilding process that followed, one of the most important re-establishments was a hospital. 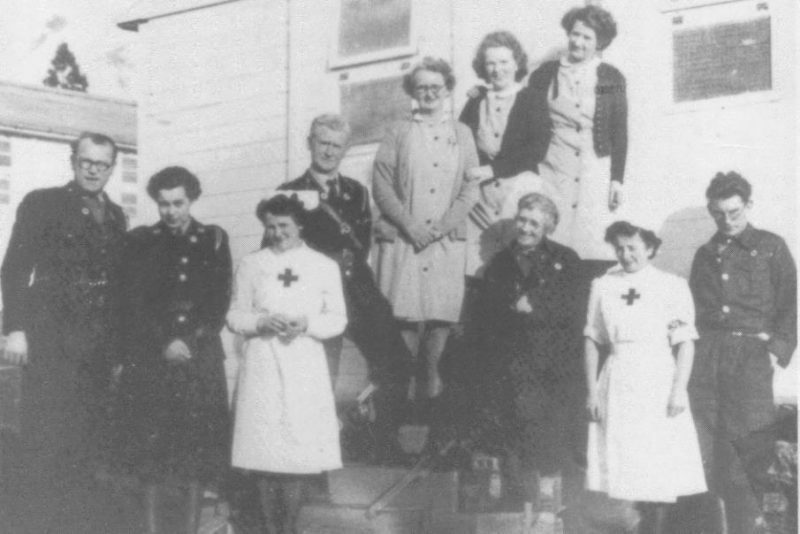 First on the scene was the recently-formed Irish Red Cross (founded in 1939). They set up a hospital in St-Lô from old buildings that had survived the bombardment. Amongst the many volunteers from Ireland who worked there was a young writer from Dublin whose prime motivation had been to to get to France but who didn’t have the means to do so. The writer was Samuel Beckett (far right, main picture). He was moved by what he saw and wrote a piece of reportage for RTE radio about St-Lô, describing it as “the capital of ruins”. 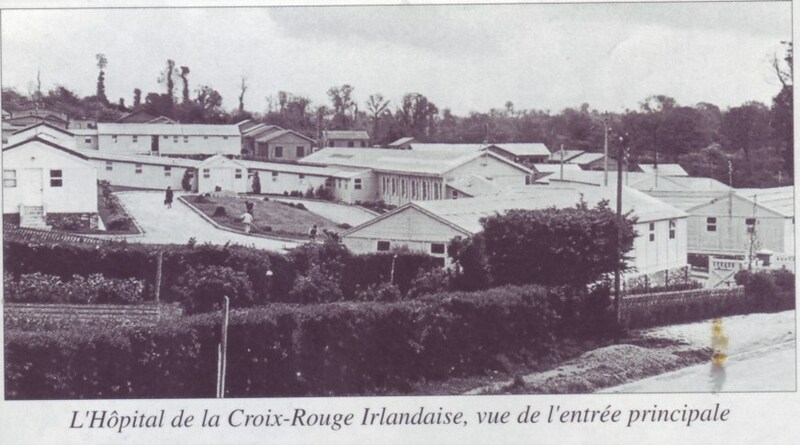 The impact that the Irish Hospital had on the rebirth of St-Lô was immense and it was one that was not forgotten by the thousands of people who benefited from the care that they received – many of them as orphans. One woman who was eternally grateful was a Mrs Théot. Mrs Théot was the driving force behind ensuring that those who survived those dark days in the history of Saint-Lô would not forget the part that Ireland played in its regeneration. 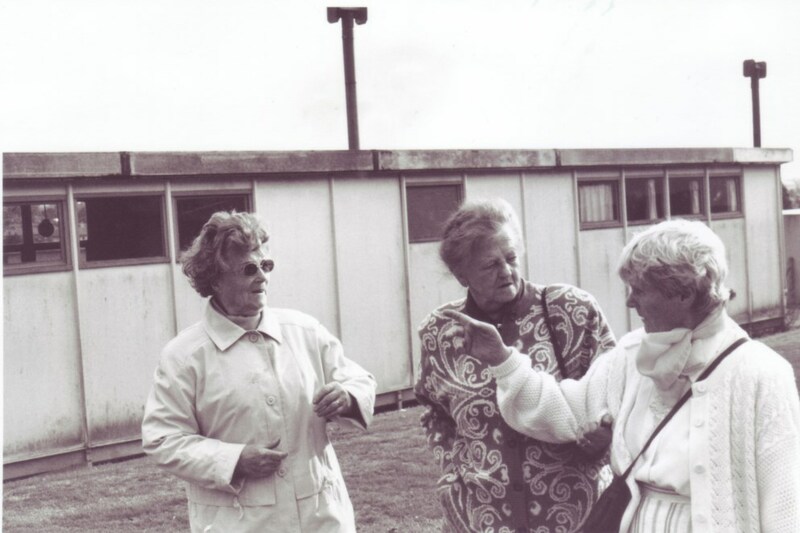 Hospital Revisited, 1995: (l-r) former Irish Red Cross Hospital nurse Dilly Fahey, Dilly Fahey’s sister, Mrs Théot. The Irish Hospital continued to function as a hospital until 1956, after which date it became a school. A larger more permanent structure had been built elsewhere in the meantime to accommodate the town’s main hospital. The secondary school Collège Pasteur today stands on the site of the Irish Hospital and just one of the original timber shacks remains intact. Were members of Lucie’s family amongst those who benefited from the presence of the Irish Hospital or is she just a fan of Irish stuff? 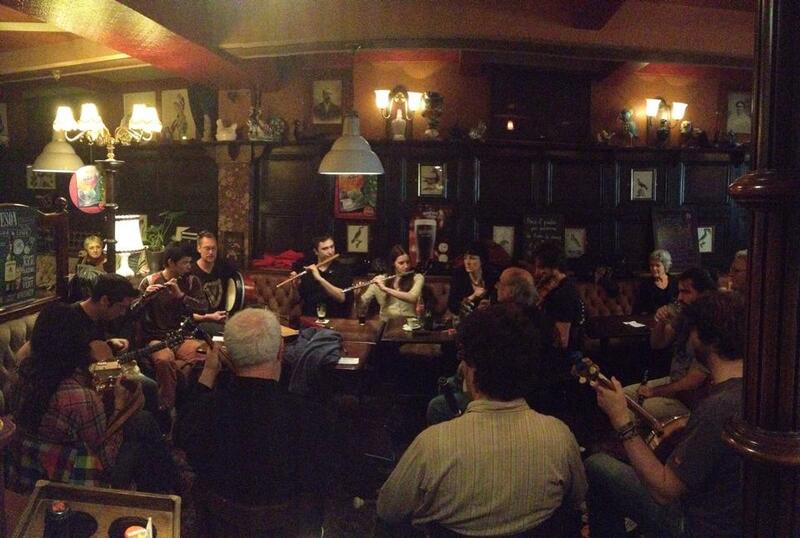 Is Irish traditional music popular in France? Shanaghy doesn’t have any twinning arrangements in place and many of its members have never been to Ireland, but that doesn’t mean that there won’t be any in the future. Shanaghy posts details of its monthly Irish music and culture sessions (that continue into June) on its website www.shanaghy.jimdo.com, where you’ll find all contact details, complete with an English-language version.